1. Can you please clarify the eligibility requirement “The works were first released in the two calendar years prior to the year of the current Eurocon. A calendar year runs from the 1st of January to the 31st of December. For the ESFS awards presented at the 2018 Eurocon, the works must have been first released between 1st January 2016 and 31st December 2017. 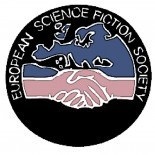 For the ESFS awards presented at the 2019 Eurocon, the works must have been first released between 1st January 2017 and 31st December 2018, and so on. 2. Is it possible to nominate a multi-part work (e.g. an anthology or magazine) if only parts of it are deemed Speculative Fiction? Should we only nominate a single story in this case? We advise that the work should be predominantly Speculative Fiction, however it is ultimately up to the nominator to decide whether the work is Speculative Fiction in spirit. An individual story from the work could also be nominated. 3. Is it possible to nominate a multi-part work (e.g. an anthology or magazine) if part of it was previously published before the eligibility period? Yes, but a majority of the work should be new. 4. What can be nominated in the Achievement Award category “An Internet Publication Other Than A Fanzine”? 5. Is there any restriction that only living creators and their works can be nominated for any of the categories? The statutes do not require that only living creators be nominated. There is a strong tradition that living creators are selected, however it is ultimately up to the nominator to make that decision. 6. The statues specify “European Grand Master nominations should not be made public, except by the ESFS board” However, our country has a strong tradition of public voting to select nominations. Can we allow public voting for this nomination? In this circumstance, the potential Grand Master Nominations from your country can be listed, however the person selected by the poll should not be publically announced.